I have always enjoyed Easter Sunday. Since I was a young girl I can recall my mother buying gaudy, floral-print dresses for us girls, complete with matching sun hats. We all had the special purse to match our patent leather shoes, and even my little brother didn’t get a pass. A tiny tie with the matching belt, and brown loafers. We would line up for picture after picture, but only after receiving our Easter baskets! I still remember the year my mom got me a life-sized poster of New Kids on the Block! She always made our Easter Baskets a special treat, and if you begged a little bit she’d let you eat some of your chocolate rabbit before church. At least the ears. 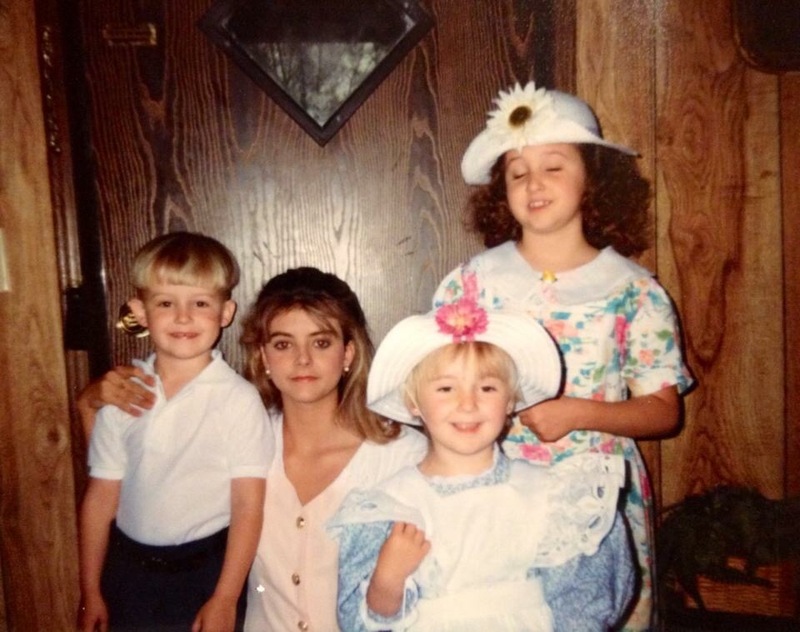 As a child, I couldn’t wait for the Easter egg hunt and huge lunch that followed Sunday service, but even church was fun. 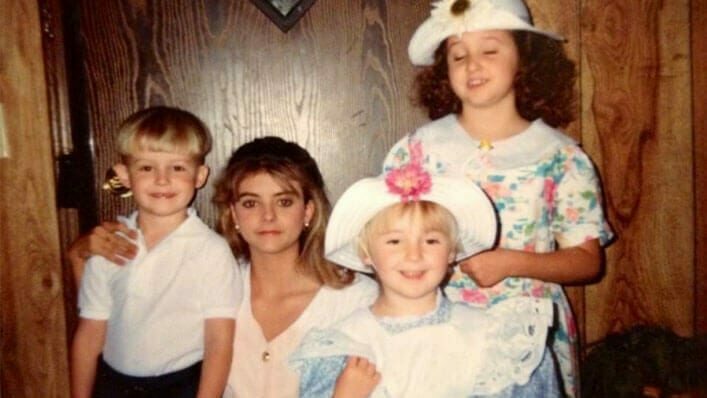 It was nice to dress up (even if my mom’s choices of matching dresses made me cringe), and so many kids came to Sunday School on Easter Sunday. You knew you’d get a special treat from the teacher, and maybe an egg hunt after the lesson. The entire day was filled with fun. As I got older, Easter changed (as far as baskets and bunny ears go), but it was still a day I enjoyed. As I matured in age, but also in my walk with Christ, Easter took on a new light. I understand the sacrifice behind the day in a deeper way, and my soul became just as excited to celebrate the day my Savior conquered death. Having a child made it all the better, as I anticipated creating traditions for my daughter and memories like the ones I had. But interestingly enough, my most memorable Easter to date is one where I didn’t celebrate at all, or at least not in a traditional sense. Six years ago I found myself on Easter Sunday in a new job. To be home with my daughter more I had taken an RN weekend position in critical care, and that meant I worked every Sunday. Even Easter Sunday. As a nurse, I was used to working holidays, but this particular year it really bothered me. She was a toddler, and I had been excited to see her eyes sparkle as she glimpsed her Easter surprise. But she was sleeping when I left early that morning. As I drove to work, I pouted a bit to myself. My mood was melancholy, and aside from missing my child’s excitement, my still childlike anticipation over Sunday service at church would be cut short too. I loved worshipping the Lord in His house, and to celebrate with other believers His resurrection meant a lot to me. I was incredibly downtrodden that I would be missing it, and although after much prayerful consideration we had decided as a family that I’d miss church on Sundays for the overall good of our home, on this particular day, I doubted my decision to work weekends. As I drove along soaking in my bad mood it was like clarity suddenly broke through my thoughts like a hot knife through butter. In the midst of my disappointment over missing Resurrection Sunday services, I felt the Lord very clearly and strongly speak to my heart. I can hear it just as clear in my memory now. My resurrection lives in you. That’s all He said, but it was enough. It spoke volumes. I may have been missing church, but I wasn’t missing out on the gift of eternal life. I wasn’t missing out on the blessing of forgiveness from sin. And I wasn’t missing out on the power of the Holy Spirit that lived inside me. That same power that resurrected Jesus from the dead lived in me, and it didn’t matter where I was; it still lived in me. And I knew I could celebrate that victory over death anywhere! Death had lost its sting, and Jesus lived. We would never die, and I didn’t need Easter eggs or even a big dinner to tell me that. My heart told me it was so. Well, we had ourselves a regular bedside, Sunday service. His resurrection was in us, and that brought us both joy on that Easter Sunday, regardless of our location. I took off every Easter Sunday after that one. Not because I required it to experience the beauty and joy of Easter, but simply because I wanted to. It was the only Sunday I would have off per year for five straight years, but the others which I worked I always made sure I carried the joy of that first Easter at the hospital bedside, the Easter that I remember most. It was the day that God reminded me that He can find me anywhere, reach into my heart, and stir it with His truth, joy, and the peace that accompanies a life redeemed, a life bought and paid in full by the blood of Jesus Christ. I reckon that trumps all the rest of it any day; even chocolate rabbits.